The delicate pale pink and white double flowers on "Chelsea Star" contrast well with the silver bi-coloured leaves. 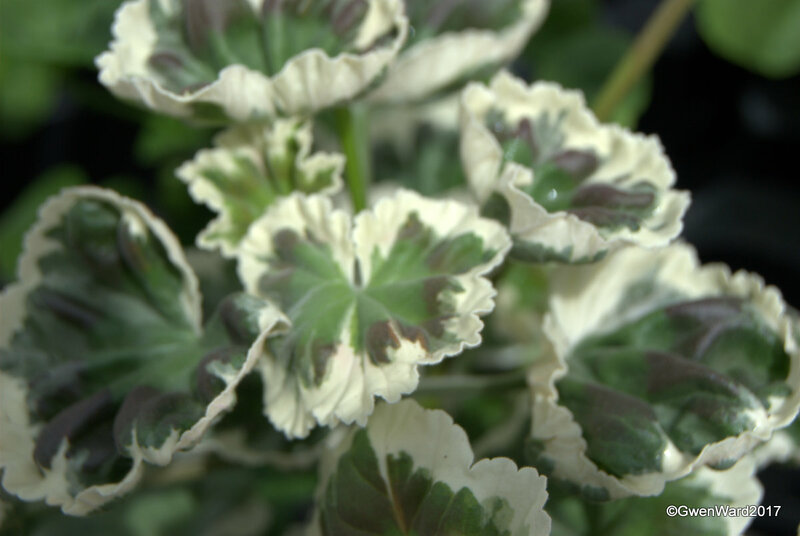 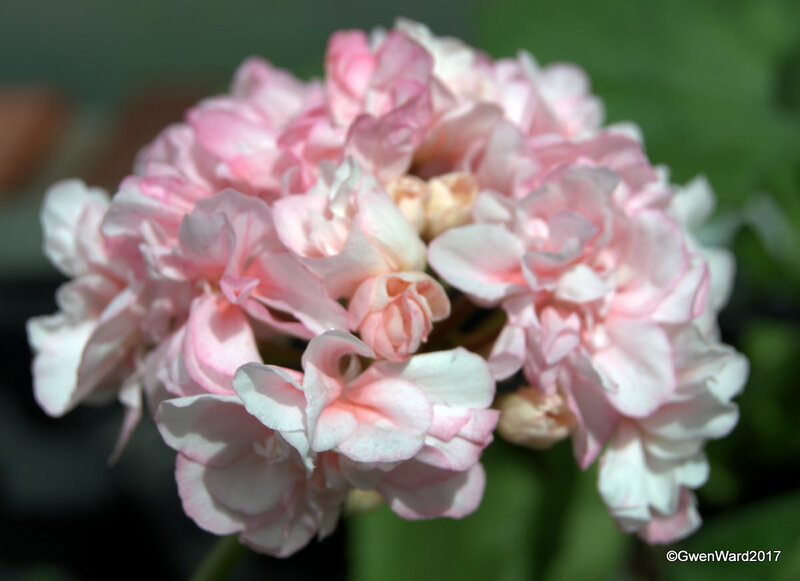 This zonal pelargonium was raised by the late Brian West of the UK and released through Warrenorth's Nursery (no longer in business). Anne came to stay over for a couple of nights. 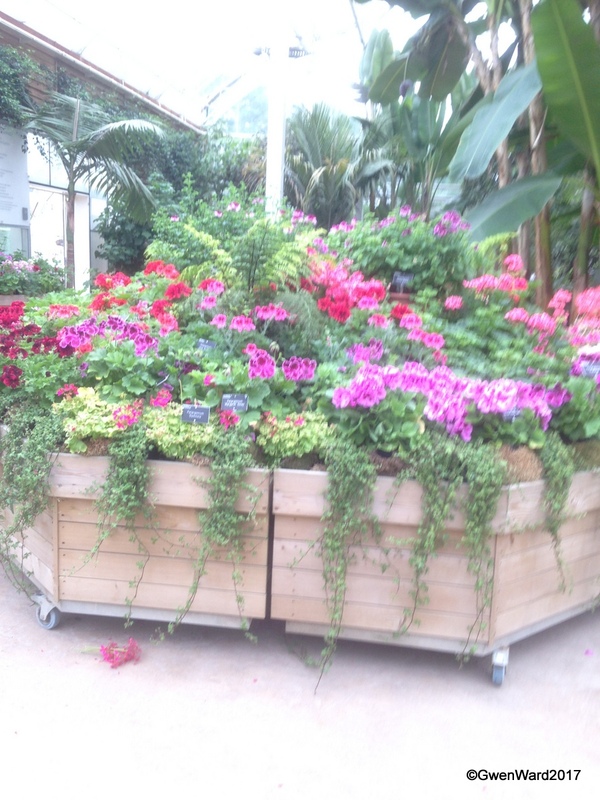 On our way home after I had picked her up we stopped off at Wisley - well we had to pass the door, so why not? 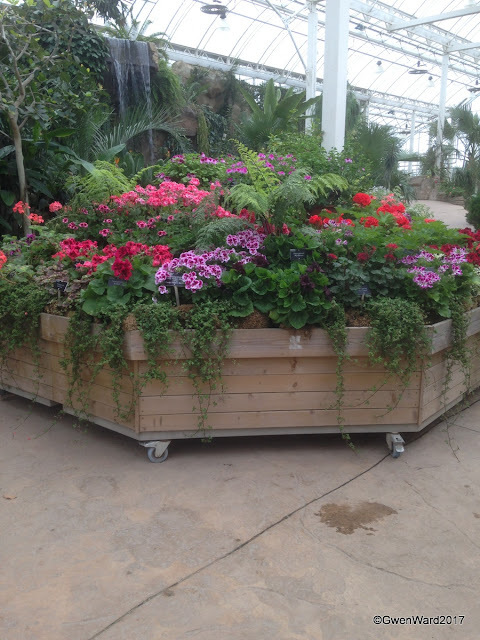 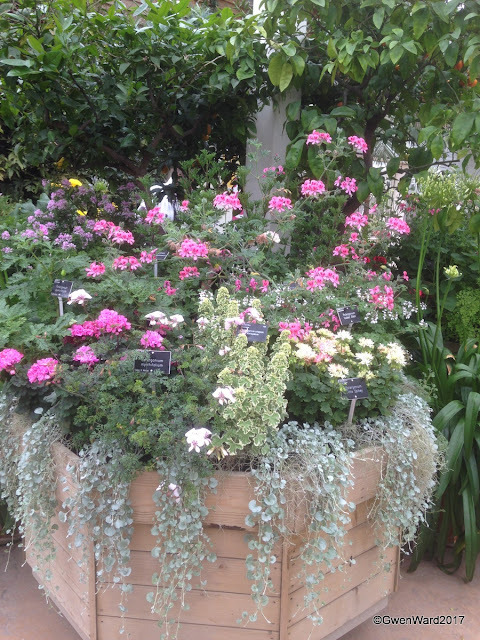 RHS Wisley Gardens always put on a splendid display of pelargoniums in the Glasshouse in May and early June. I did not think it was so good this year, but the weather has been playing havoc with our plants, and the display had not been up long. However, we enjoyed it, and Anne was impressed.